Single Storey Extensions with additional granny annexe incorporating a double bedroom ensuite, kitchen and self contained lounge area. 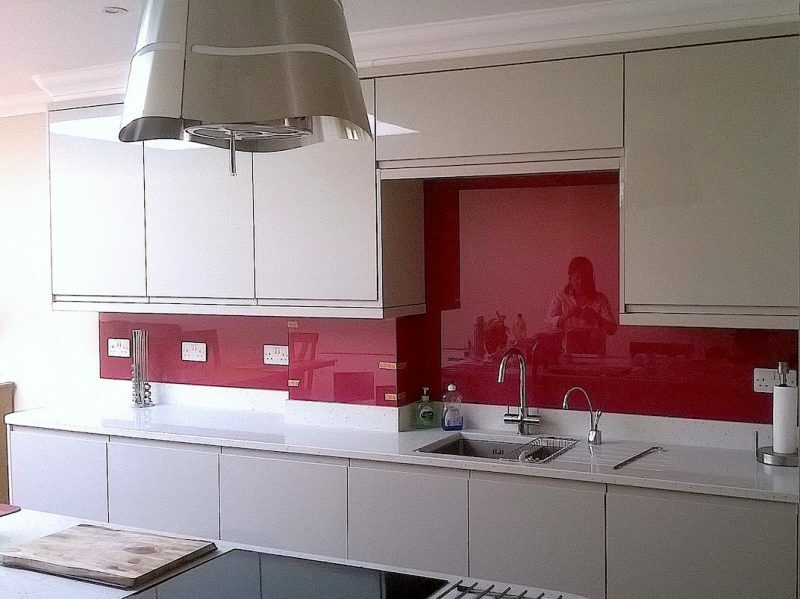 Internal alterations, new cloak room and 2 new kitchens were designed and installed in this project. 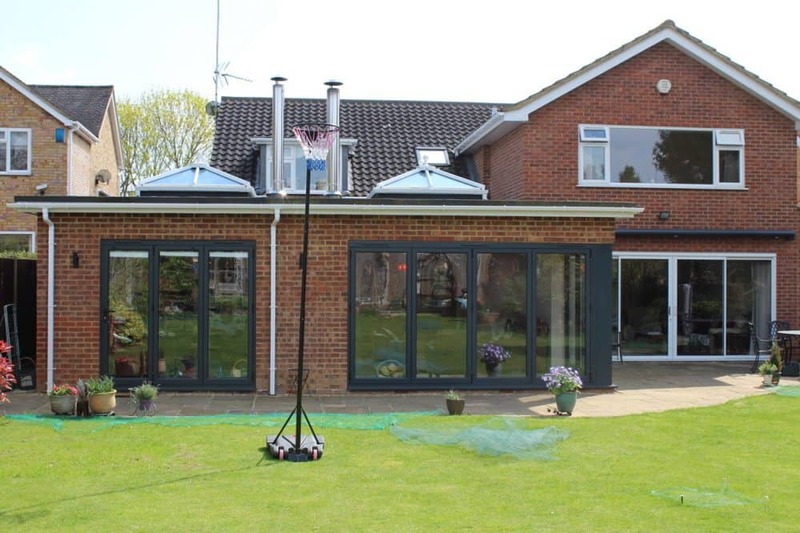 Feature bifold doors, windows and specialist roof atriums. 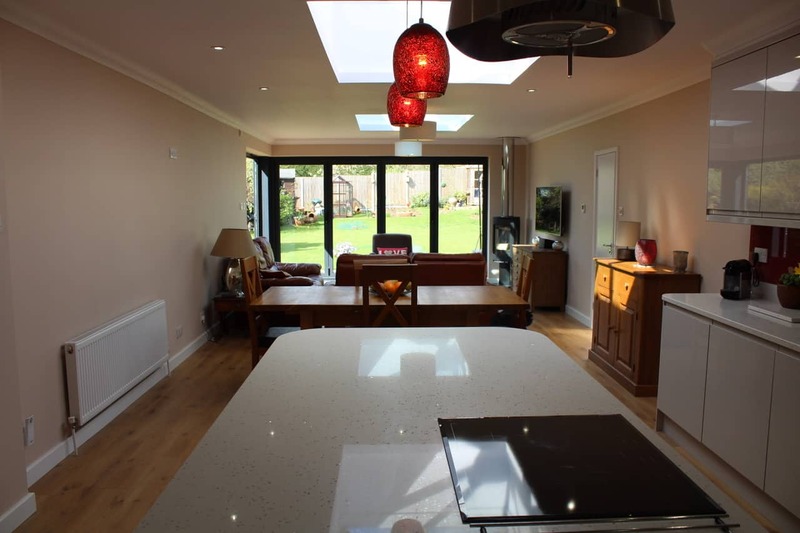 Designer feature lighting throughout, under floor heating and plumbing, electrics and landscape finishes. Two feature contemporary stand alone wood burning stoves were added and internal decorations througout.